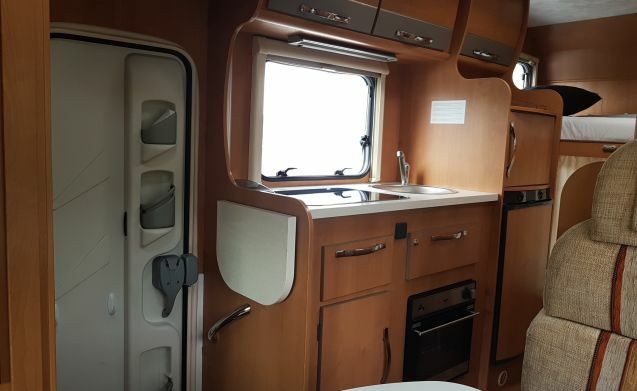 Our comfy and spacious 2012 Fiat motorhome is ready to be taken on an adventure! It comes with a lot of amenities and is suitable for all types of trips, be it a family holiday, couples or some friends. 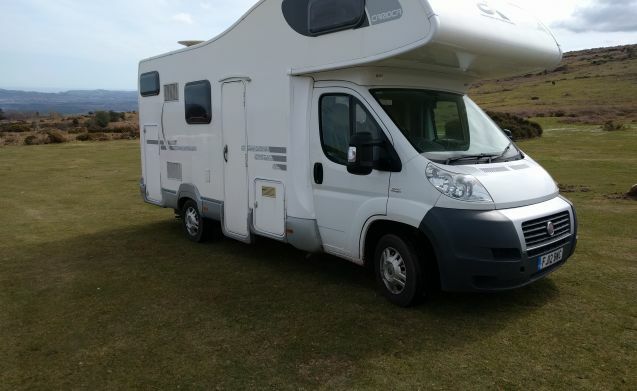 Although classed as a 6 berthed motohome, it is best suited to 4 adults and 2 children. 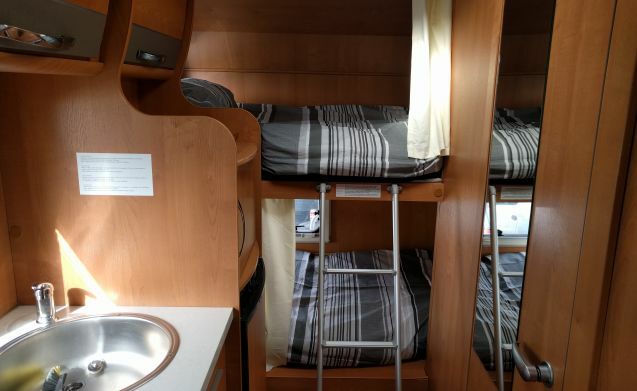 There is a superking sized bed above the cab and two extra large singles at the rear, the dinette area makes a small double, but due to its size is not ideal for two adults. We will do our best to taylor a package to suit your holiday needs. Please ask if we can help you with anything. We can collect you from the railway station or bus station, we can even pick you up from Exeter airport if you like. We supply you with towels and bedding . 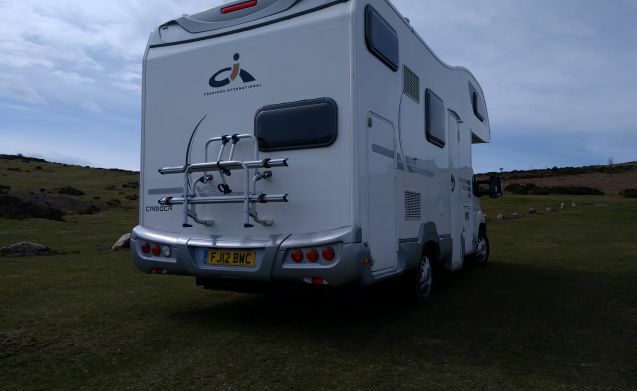 We have equipped her with everything we think you could possibly need, we have even started you off with some tea, coffee,milk, and a few other things. We have equipped it with outdoor table and chairs, a sun canopy/awning. 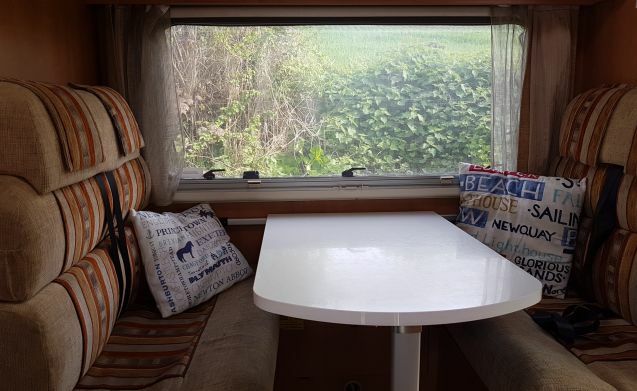 We love being out and about in our motorhome and we would love you to share our experiences with the freedom to roam. 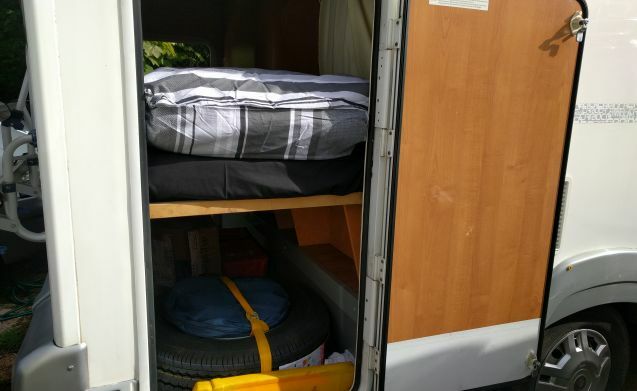 Response from Melanie Thank you Andrew and we are glad you and your wife enjoyed your trip. We very much hope to see you again. Mel and Tim.